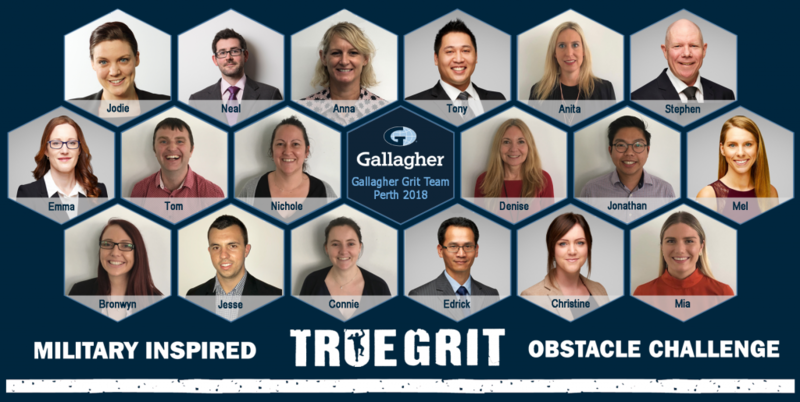 18 of our dedicated (and slightly frightened) Gallagher team members in Perth have committed to complete the True Grit Military Inspired obstacle course on Saturday the 27th October in order to raise a targeted $2,500 to support our current and past service personnel through Solider On. Please help us support Solider On by giving whatever you can to donate and support this very worthy cause. Great support and commitment. I don 't really like to get that dirty otherwise I will be there with you all. Hey gang, great effort for a very worthy cause. Give it everything! Good on you Gallagher Perth. Given I 'm not partial to exercise, I 'll donate to the great cause instead! A great team event for a great cause, have a blast. Good on you all. Its an excellent choice of organizations to support and good luck to each of you.